So, how do you make sure that all users in your organization have a compliant email disclaimer? 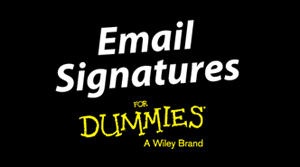 Read on to discover the most common methods of adding this important piece of legal documentation to email signatures. Many email clients allow users to create pre-defined content for their email signature, which will also include a disclaimer. 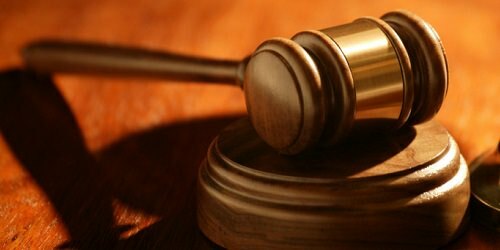 Once the users have created their disclaimer, no further action is carried out and they often are no longer monitored. Users eventually end up modifying or deleting their email signatures and disclaimers, whether deliberately or by accident. Even if you find a way to overcome this problem, they can still delete text straight out of their email messages. This means they can change the disclaimer to the point where it no longer serves its purpose. Other companies take responsibility for adding email disclaimers away from all users and set one up on a separate system. Some examples would be a firewall, an anti-virus or anti-spam system which include features to add text to some or all emails that pass through them. If all messages go through one of these systems, then it gives you straight email compliance. Many of these systems only allow plain text to be entered, giving you no control over layout and you can’t have images or logos. There is unlikely to be any control over where the disclaimer goes other than the top and bottom of an email. There is no way to prevent the system from adding the disclaimer over and over again. 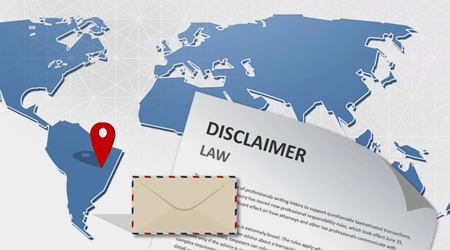 After several replies in an email exchange, disclaimer text can very quickly build up so that it ends up turning into an email disclaimer exchange, dwarfing the actual message. With Microsoft Exchange 2007 and above, all email disclaimers are added on the server with the Hub Transport role. This gives you greater flexibility as these servers handle all of your emails, internal and external. However, the disclaimer features that come with Exchange are very basic and often do not meet the needs of many organizations. It won’t let you have HTML email signatures, create different signature templates for various sender and recipient groups or let you add images like logos as it will turn them into attachments. Email signature software and solutions allow you to easily define the disclaimers that are added to every email. Email disclaimers get added at the server automatically, whether on-premises or in the cloud, and users have no way of changing them. With central management, you can ensure that all users’ corporate mails consistently have a professional signature with the necessary compliant disclaimer.